It doesn’t always happen in sport, but next weekend’s final four contesting the Conference Finals are the season’s standout teams. It’s official – the top-two seeded teams from each Conference have made it through, just as it should be. Not that sport is generally that obliging when it comes to something happening that, according to the statistics, should! In the AFC Divisional games at weekend, New England were the standouts, thrashing a desperately disappointing LA Chargers 41-28. 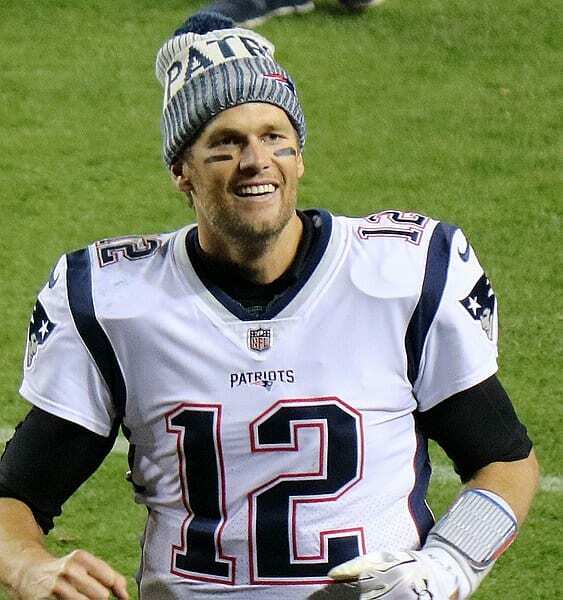 All the uncharacteristically stuttering performances from the regular season were forgotten, as the Foxboro faithful were treated to a Tom Brady (pictured) masterclass – for the umpteenth time. They will now face the Kansas City Chiefs, who themselves despatched the Indianapolis Colts 31-13 in a very comfortable manner at Arrowhead. They found some welcome defensive resilience to go with their attacking brilliance, and will fancy taking anyone down on their home turf. Talking of which, there was snow in patches on the grass at weekend, and that made things just a little more difficult for the flair players. Let's hope for kinder weather at weekend. Chiefs’ QB Patrick Mahomes is the face of the NFL season for me. Young, effervescent, fearless, and brilliant. He now pits his wits against football’s most storied coach/QB combination – Bill Belichick and the 41-years-young Thomas Edward Patrick Brady. No power on earth will prevent me from being glued to this one. Chiefs are clear second-best in our Super Bowl betting @ 5/2, with the Pats @ 10/3. In the NFC, Dallas found the Los Angeles Rams to be a bridge too far, going down by 22-30. A late score gave them something of a glimmer, but the outcome was never really in doubt. Gurley and Anderson were magnificent running the ball for the Rams, and opposite number Elliott couldn’t live with their numbers, even though he had a similar number of carries. The last encounter saw New Orleans overcome an early 14-0 deficit to eventually tame the Philadelphia Eagles 20-14. 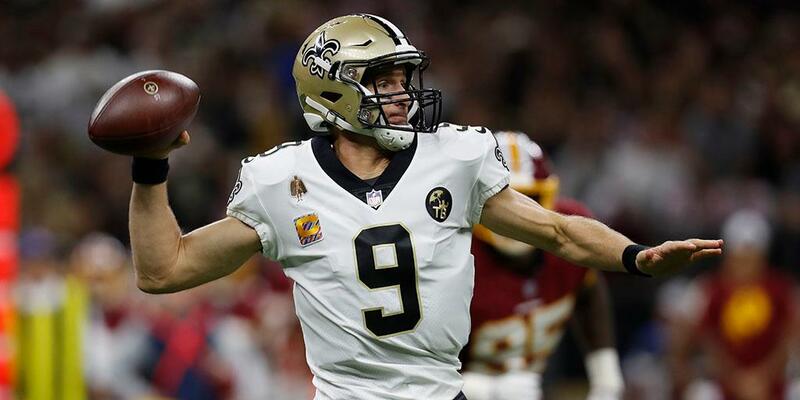 Drew Brees threw for over 300 yards, and Michael Thomas had a stellar time of it with 171 receiving yards and a vital touchdown. Saints ‘D’ stepped up after a shaky start, and Brees (pictured) did the rest. It wasn’t pretty at times, but this is playoff football. 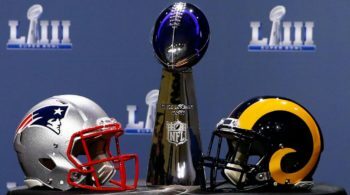 Saints are our 7/4 favourites to lift the Super Bowl trophy on Feb 3rd, with the Rams @ 7/2. We’ll have a comprehensive preview, with the usual tips and chat, later in the week. We nailed the ‘under’ for the Saints match, and narrowly missed covering as the Saints fluffed a late field goal. We also tipped up the Rams to cover, and they duly obliged. The post NFL Top Dogs to the Fore appeared first on Betfred Blog .